For most people, the appeal of the world’s fastest private jets is that they can get them to their destination in a hurry, which means less time spent inside a plane and more time spent on business or enjoying a vacation. But for aviation geeks, the joy is in the thrust of the engines, speeds measured in Mach, in-flight connectivity, and intuitive cabin management systems. Why fly fast when you can go super– or even hypersonic, right? Now is an exciting time for aviation with researchers busy at work developing sustainable technology for supersonic and hypersonic aircraft, taking inspiration from NASA X-planes designed to nail the problem of the sonic boom by reaching a maximum speed of Mach 2.2 in silence. The Bombardier Global 6500 is still top of the world’s fastest private jets, traveling close to the speed of sound. Make no mistake, nipping at Bombardier’s heels are Dassault, Gulfstream, and Cessna, all working to boost the speed of their jets to supersonic or hypersonic range in response to emerging customer needs. But for now, here’s the lowdown on the world’s fastest flyer. In May 2018, Bombardier unveiled a new class of business jet – the Global 6500 – which is expected to enter service at the end of 2019. There’s a lot more to this plane than a pretty face. The Global 6500 has a next-generation fully re-profiled trailing edge wing built by Mitsubishi Heavy Industries for a Mach 0.90 top speed. Its new Rolls-Royce Pearl engines lower fuel burn by 13% while delivering an additional 9% thrust – the result of an enhanced 3-stage low-pressure turbine. So here’s exactly what the Global 6500’s ticket price of $56 million will get you. Speed. According to Bombardier, the Global 6500 boasts the industry’s most advanced engine core for improved aerodynamics. The result is a very fast private jet that also flies quieter and farther. Specifications: 0.90 Mach top speed and a typical cruise speed of 0.85 Mach. A maximum operating altitude of 51,000 feet and initial cruise altitude (at maximum takeoff weight MTOW) of 41,000 feet. Engine thrust is 15,125 pound-force (67.3 kN) and it’s flat rated to ISA + 15°C. Range. The Global 6500’s wing technology and purpose-built engines allow this jet to deliver a class-leading range for non-stop travel between cities like Hong Kong and London. Specifications: a range of 6,600 nautical miles. The aircraft’s basic operating weight is 52,230 lb, its maximum fuel weight 45,050 lb, and it has a maximum payload of 5,770 lb. Maximum takeoff and landing weights are 99,500 lb and 78,600 lb respectively. Without fuel, the jet weighs 58,000 lb. Airfield performance. The aircraft gives travelers access to most airfields, even those that are more difficult to reach like London City, or airfields at high temperatures and altitude that can negatively affect engine performance – Mexico City is one example. And the short runways of New York City’s LaGuardia Airport are a walk in the park for this long-legged jet. Specifications: takeoff distance (sea level SL, international standard atmosphere ISA, MTOW) is 6,370 feet and landing distance (SL, ISA, typical) is 2,236 feet. Flight deck. The cockpit Combined Vision System (CVS) merges enhanced and synthetic vision terrain imagery in a single view – this is an industry first. The system reduces crew workload and allows them to land in the most challenging conditions. Specifications: Rockwell Collins’ CVS and new EVS-3600 camera, Head-Up Display (HUD), Graphical flight planning, Airport Moving Map (AMM), MultiScanTM weather radar, Controller Pilot Data Link Communication (CPDLC), and Datalink high-speed SATCOM. Air management system. The Global 6500 delivers 100% fresh air to passengers and offers a turbo heat and turbo cool feature to rapidly raise or lower cabin temperature. The result is a low altitude environment in the cabin which can help to ease jet lag. In-flight connectivity. Those lucky enough to fly on the Global 6500 can enjoy ultra-high-definition entertainment with the fastest in-flight 4K-enabled cabin management system supported by fiber optic communication. The system makes it easy for passengers to link to all devices while a centralized media bay offers plenty of storage and connection space. 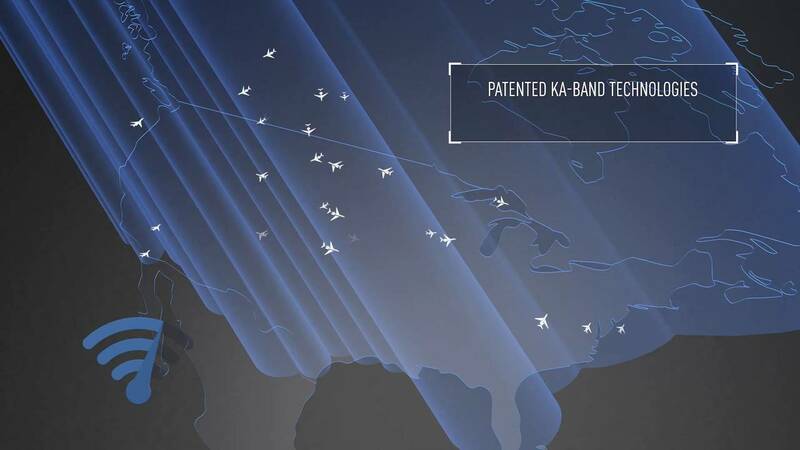 Specifications: Ka-band satellite technology for in-flight video conferencing and streaming, up to 35 times faster than other aviation internet systems. The cabin. Bombardier has provided ample space for passengers with a widest in-class cabin designed with style and the comfort of the traveler in mind. An exciting new feature of the Global 6500 is its Nuage seat – the first significant change in 30 years to the way a private aircraft seat performs ergonomically. This includes a tilt link system for deep recline, a floating base for smooth movement, and a tilting headrest for ultimate passenger comfort. The on-board kitchen has plenty of high-end cabinets, countertops, and the latest appliances, including a steam oven. If you’re in need of some additional TLC, the Global 6500 has an onboard retreat situated in the quietest part of the cabin that includes an en suite bathroom with shower, and a full berthing divan for a nap or good night’s sleep. Specifications: Capacity 17 passengers. Cabin height 6 feet 2 inches. Cabin width 7 feet 11 inches, Cabin length 43 feet 3 inches from cockpit divider to aft most cabin without baggage compartment. According to Bombardier’s Chief Operating Officer, Paul Sislian, the manufacturer is on track to certify the Global 6500 in the first half of 2019 and finish its first jet in Wichita by the end of this year for customer delivery at about that time. If you’re in the market for a private plane, or you have $56 million lying around and can’t think what to do with it, get your order in quickly for the world’s fastest private jet.